When Jessica dreamt of her children, she had to have dreamt up the most engaging blue eyes imaginable. Every time Kaden and Ethan come to see me, I am mesmerized by their eyes. 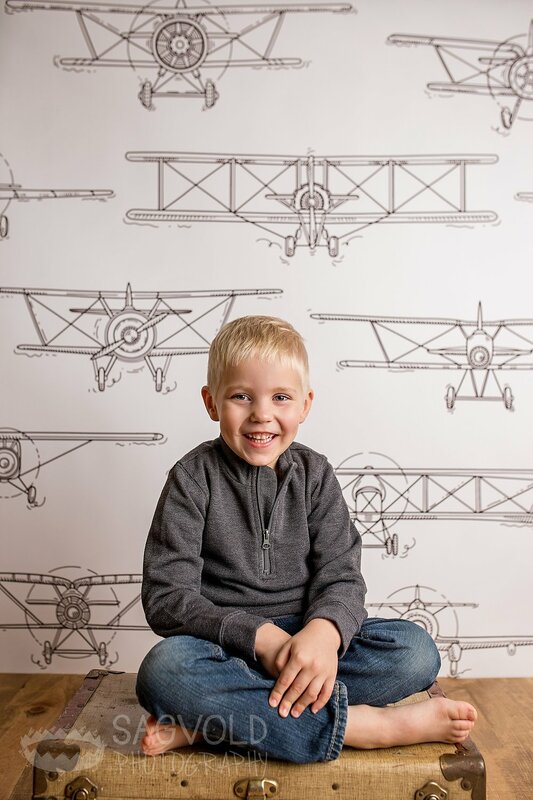 Kaden came to his session with a great attitude, knowing exactly what he wanted to wear, and how he wanted to look. He was such a big guy. He smiled so nice and sat for every picture I wanted to take. Don’t get me wrong, the Buttke kids are always well behaved, but this was exceptional. Ethan, on the other hand, wanted nothing to do with me or the pictures. Kaden was so patient with his little brother, but every time I put Ethan into the set-up, out came the tears. Bribery, trickery, and foolery didn’t work. Even Jessica couldn’t get a smile, and Ethan is definitely a mama’s boy. Although this session was about Kaden, it definitely was the plan to get a shot or two of them together. Don’t worry, we did get pictures of the two of them together. If you thought Ethan’s smile was to die for, his pout face makes my heart skip a beat. All I know is each time I see these kids, their dimples get a little deeper, their eyes get a little bigger and bluer, and I fall in love with them all over again. Backdrops by Fancy Fabric & Props.